"A very pretty location and a lovely old building, The Trelawney Room is quite large and ideally suited to wedding receptions. There is a bar at one end and a wooden dance floor opposite with plenty of space for dancing as well as a good selection of furniture for those who would prefer to sit and chat. The drinks at the bar are a little above average but quite normal for hotels. The house lighting of wall lights and chandeliers can be dimmed to set the perfect ambience." All reviews are the subjective opinions of third parties and not of the website or its owners. Reviews are placed by members of the public that have held a function or event at Tregenna Castle Hotel. At needadisco.com we only accept reviews from confirmed clients that have booked a DJ to play at Tregenna Castle Hotel via our website, with the arrangements independently verified by both the DJ and the client before the event takes place - no "fake reviews" here! "We stay in Tregenna Castle every year so decided this was the perfect venue for our wedding. Hotel room prices booked in advance and direct are extortionate - so we always wait for 50% off deals and book a West room with a sea view for quietness and a good view of St Ives. The staff at Tregenna are fabulous and the wedding day went without a hitch. Couldn't be more pleased! Just gutted it's over..."
Helpful information for DJs and entertainers visiting Tregenna Castle Hotel provided by trusted members of needadisco.com. ACCESS: Very easy, ramp from front entrance into hallway, level route into set up area. 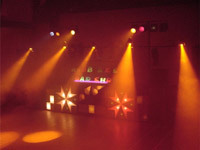 FACILITIES: In the small function room there is a dancefloor area set out for the installation of the equipment. PARKING: Parking just outside the venue. Additional parking to the rear if needed. 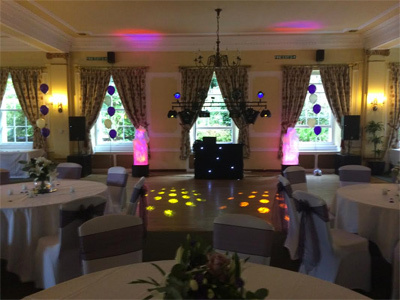 ADDITIONAL COMMENTS: "Responsive staff who are happy to let you get on with your job"
Information is based on enquiries and bookings handled via needadisco.com so whilst it's a great insight, if you have any questions or concerns about holding a function or event at Tregenna Castle Hotel please contact the venue. Tregenna Castle Hotel has previously been hired as a venue for private parties such as birthday celebrations, anniversaries, engagements etc. Tregenna Castle Hotel is in our Hotels category. The map below shows other local venues in the same category.